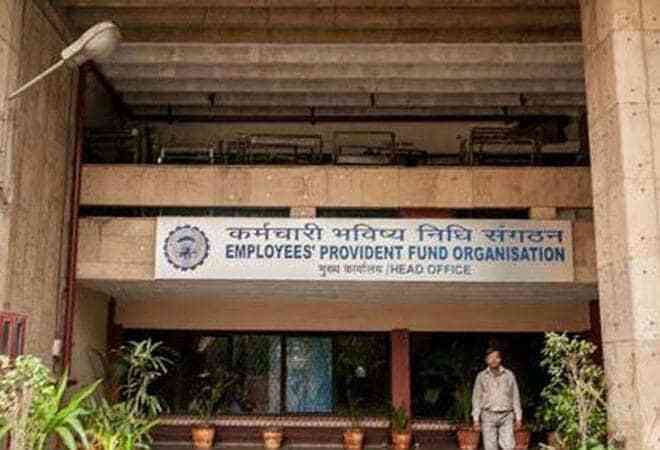 Retirement fund body EPFO on Wednesday lowered the rate of interest on employees provident fund to 8.55 per cent for its over 6-crore subscribers for 2017-18, from 8.65 per cent in the previous fiscal. "It is difficult to evaluate about future in view of present economic scenario. We paid 8.65 per cent last fiscal, which left a surplus of Rs 695 crore. This year, we have decided to recommend 8.55 per cent for 2017-18, which will leave a surplus of Rs 586 crore," Labour Minister Santosh Gangwar told reporters after the Employees' Provident Fund Organisation's (EPFO) trustees meet. Gangwar, who also heads EPFO's apex decision making body Central Board of Trustees (CBT), said he expects the finance ministry to give concurrence to the 8.55 per cent rate of interest decided today at the CBT meeting. After the CBT's decision on interest rate, the proposal is vetted by the finance ministry. Once approved by the finance ministry, the rate of interest is credited into subscribers' account. Gangwar expressed hope that the trade unions will agree to the decision of providing 8.55 per cent rate of interest. The minister also said the EPFO has liquidated portion of its investments in the exchange traded funds (ETFs) to bridge the gap to provide 8.55 per cent interest this fiscal. He said the EPFO received 8 per cent returns on its bond investments but it is able to pay 8.55 per cent rate because it has sold some of its investments in ETFs. He explained that it is higher than 7.6 per cent provided to General Provident Fund and Public Provident Fund subscribers. Gangwar further said the ETF investments have fetched a return of 20.65 per cent so far, and in the months of January and February this year, the EPFO has sold Rs 3,700 crore ETFs which earned a return of Rs 1,011 crore. The EPFO has invested around Rs 44,000 crore so far in the ETFs. It had started investing in ETFs in August 2015. On the administrative charges, he said the CBT has decided to reduce the administrative charges from 0.65 per cent to 0.50 per cent of total wages which are paid by employers. The minister also said the trust has also decided to reduce the workers threshold for coverage under the EPFO schemes to 10 from existing 20. At present, all those units employing 20 or more employees are mandatorily covered under the social security schemes run by the EPFO. He expressed hopes that reduction in employees threshold could help increase the EPFO subscribers' base from existing 6 crore to even 9 crore. Gangwar also assured that the required amendment in the Employees' Provident Fund & Miscellaneous Provisions Act would be done to implement the decision to reduce employees threshold. Earlier, the CBT has also taken this decision, but it could not be implement because of long pending amendment in the Act. On this occasion, the minister also launched the EPFO's UAN-AADHAAR linking facility for the convenience of the members using EPFO link in UMANG mobile application. This is in addition to existing facility on the website of the EPFO. Cabinet nod to new Bill banning unregulated deposit schemes; will it affect cryptocurrencies?